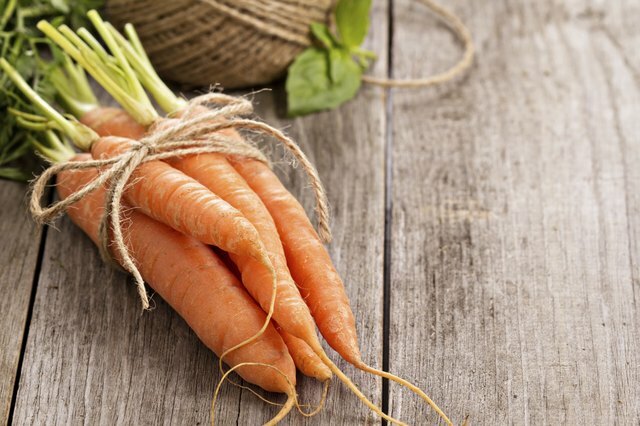 Carrots' hardness depends on the variety, their ripeness and the time of year. In general, however, average, everyday carrots -- the type used for mirepoix in soups and stocks, not for snacks and salads -- give you the most trouble when you try to chop them. 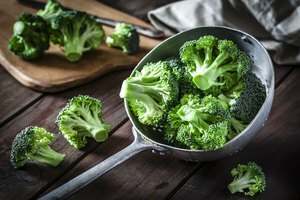 Blanching, or partially boiling a vegetable for a few minutes in unsalted water, softens carrots just enough to run a knife through them, but doesn't heat the centers, so it doesn't alter their flavor. Bring a pot of water to a rolling boil. Rinse the carrots under cool running water and tear the tops off, if present. Place the carrots in the boiling water. Blanch the carrots for 5 minutes, starting when the water returns to a boil. 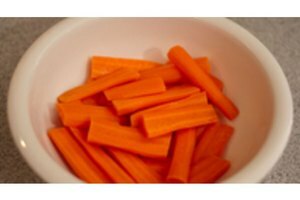 Drain the hot water and run cold water over the carrots for 4 to 5 minutes. 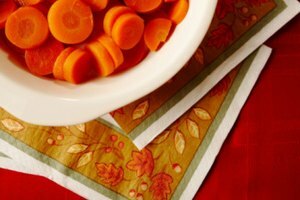 Shake the excess water from the carrots and pat them dry with a paper towel. Slice the carrots to the desired shapes. You can also soften carrots in the microwave. 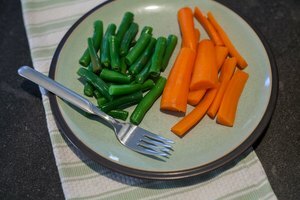 Rinse and peel the carrots then microwave them in a covered container in a couple tablespoons of water for 3 or 4 minutes.